The draft rules also state that those who have built stilt parking in their houses but park their vehicles on the streets would be penalised. For them, the rules state, “parking charges will be twice the normal charges fixed for other residents”. Parking in streets and open spaces in residential areas could soon be chargeable, with civic agencies and Resident Welfare Associations (RWAs) being given the right to fix rates in consultation with each other. Owners of vacant plots in residential colonies will also be allowed to turn the space into a parking area. These are some of the provisions under the Delhi Maintenance and Management of Parking Rules, 2017 — which was approved by Lieutenant Governor Anil Baijal on Monday. The draft rules have now been uploaded on the transport department website for feedback from the public. The main aim of the draft rules is to decongest roads and incentivise the use of public transport and electric vehicles. 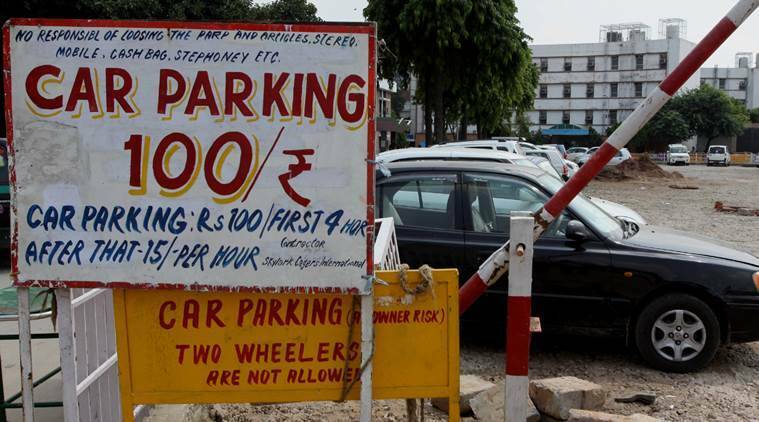 As per the rules, the base parking fee will be decided by an apex monitoring committee, headed by Anshu Prakash, the Chief Secretary of Delhi. The apex committee will be advised by a Base Parking Fee (BPF) Committee, to be headed by the transport commissioner. As per the rules, the BPF will be the basis on which the general set of multipliers for different types of parking will depend.